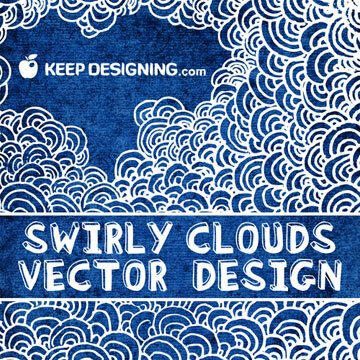 Hello again peeps- today we’re giving away a hand drawn vector of a swirly pattern that I guess looks like clouds but others might think it looks like tree foliage or bubbles or whatever you see. Actually it’s fitting that everyone see something different- it’s kinda like the cloud naming game in which you lay in the grass looking at the clouds and name what shapes they resemble. Thanks for stopping by, check back soon for more awesome free vectors. 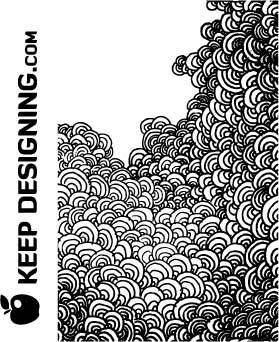 Nice clouds I’m liking the new hand drawn vectors. Reminds me of Japanese waves. I saw your cd cover design post. I have a cover gallery if you’re interested in displaying and promoting your work – coverarts.com. yeah I guess it is a little japanese styled. I have plenty more where that came from. Yes I’d like to post on coverarts.com i’ll get in touch with you soon. thanks. matches my idea perfectly. thank you very much! Thanks so much for this! I love these clouds~ I ended up using this image in some motion graphics for my music video, it worked out great! Sweet video Elladee, love the music also.